The latest stock assessment for Atlantic mackerel contains grim news for one of the region's most iconic fish. Scientists say the spawning population is down 86 per cent from pre-2000 levels, and the number of fish surviving to breed is at all-time lows. 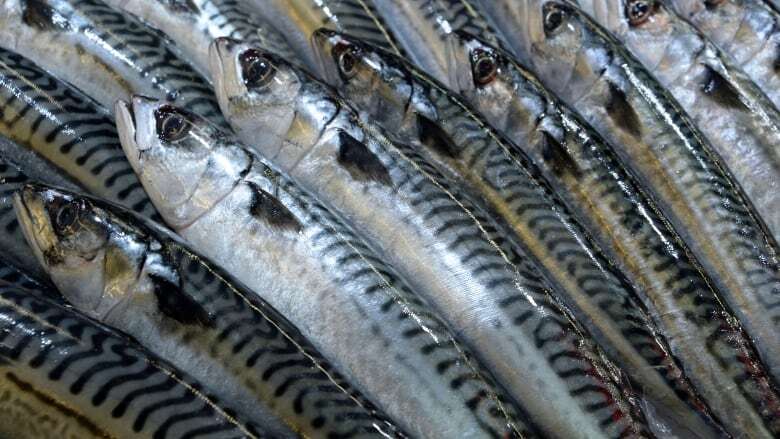 An assessment by the Department of Fisheries and Oceans says mackerel are in the "critical zone" where serious harm is occurring and recovery is threatened by overfishing. Adding to the uncertainty are changing environmental conditions in the Gulf of St. Lawrence where mackerel spawn. The results may surprise recreational anglers who catch mackerel from wharves throughout Atlantic Canada, but DFO scientist Andrew Smith said those are small groups of fish schooling close to shore. They do not represent an accurate picture of the overall stock, which has been declining for years, he said. "We continue to have a very low biomass. We are in the critical zone. We have had two very low years of recruitments in Atlantic mackerel, the two lowest on record," Smith said in an interview from DFO's Maurice Lamontagne Institute in Mont-Joli, Que. 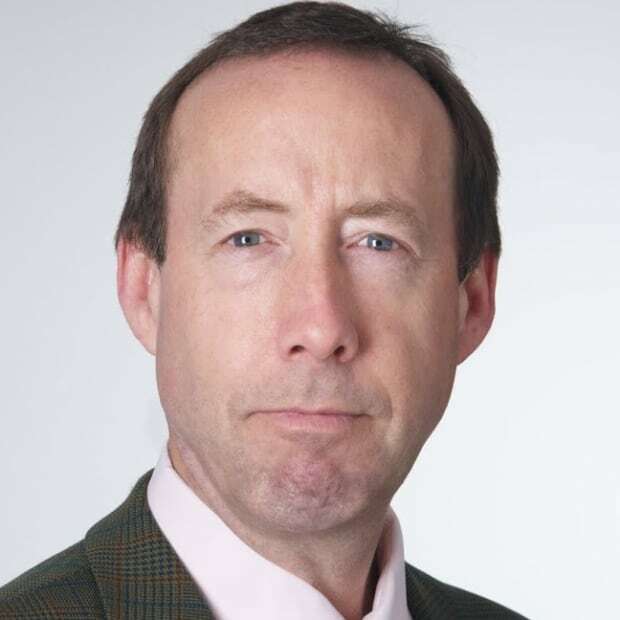 Smith is the lead author of a recent DFO stock assessment. According to the data in a single-year class, those hatched in 2015 made up 75 per cent of all mackerel landed last year. In 2017, the department sampled 20,000 fish throughout the region and found a single one-year old mackerel. "There are fewer older larger females in the population. Fewer older adults to contribute to the next generation. Mackerel can live up to 20 years, but it's been decades since we've seen mackerel over the age of seven and currently in the water there is only really one significant year class," Smith said. Mackerel winter off New Jersey and swim up the Atlantic coast arriving first off Nova Scotia, then they move around Cape Breton to spawn in the southern Gulf of St Lawrence. The assessment points the finger at overfishing in Canada and the United States. Mackerel is caught as bait fish. 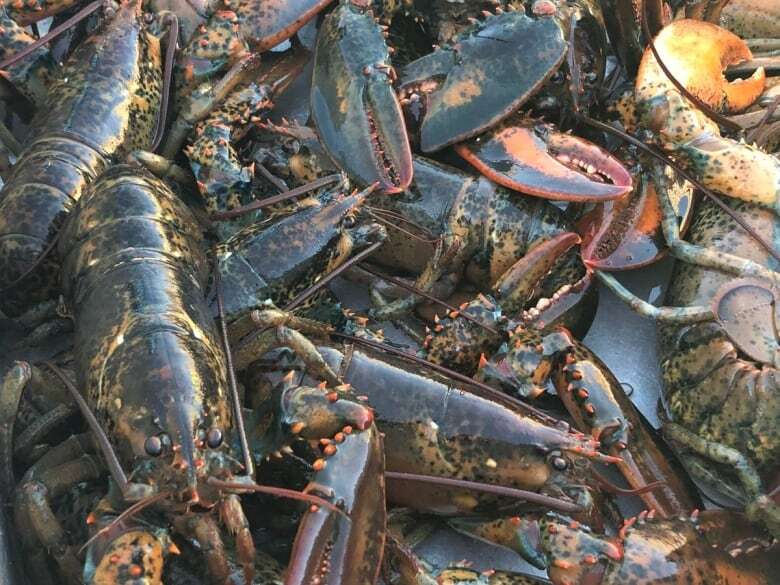 It is the primary bait used in the lobster fishery, making it a key input in a billion-dollar industry. The total allowable commercial catch in Canada was 10,000 tonnes in 2018 — down from nearly 55,000 tonnes in 2005. The American quota this year is 9,100 tonnes. There are also environmental changes underway, especially in the Gulf of St Lawrence. Water temperatures are rising and there is less zooplankton, their preferred prey. "But the single biggest impact that's going to determine whether the stock grows or declines or stays stable is mortality due to fishing," said Smith. Environmentalist Shannon Arnold of the Ecology Action Centre in Halifax said the assessment shows the fishery cannot continue at this level. "They're taking more fish out that than the population can sustain," she said. "That's been happening for a number of years and science made it clear that overfishing is the reason that we're in this situation. The other things that are happening in the Gulf with the food moving and changes in the ocean is also exacerbating and taking away some of their resilience. But the main problem is the amount of fish that are getting taken out by the fishery." DFO is also under pressure to increase the quota from fishing interests in Newfoundland and Labrador, which says the federal department has it all wrong. David Decker of the Fish Food and Allied Workers Union, which represents plant workers, claims the department is using outdated science and missing spawning grounds off his province. He said the DFO survey used to estimate the biomass is based on a larval and egg survey done since 1979 in the southern Gulf. "It's not working anymore. The reality is they're shifting distribution of that stock. We see major aggregations of mackerel on the northeast coast," said Decker. "In fact, last year we collected over 200 samples of small mackerel and sent [them] to the research lab in Mont Joli and these mackerel were between two and four months old, which shows clearly that spawning taking place right now on the northeast coast." DFO has not found this mystery spawning ground. Smith said the department has ramped up its sampling program throughout the region in recent years, including in Newfoundland. They looked for signs of spawning in 2015 and 2016 in three bays in northeast Newfoundland — Notre Dame Bay, Trinity Bay and White Bay — and found zero eggs or larvae. A "few eggs" were found in southwestern Newfoundland between 2004 and 2009, but the department stands by its contention the southern Gulf of St. Lawrence is the primary spawning site. "We're fairly confident that we're picking up an accurate view of recruitments, that is, the influx of new fish in the population. A mackerel can grow up to 20 centimetres in its first year of life. You can see them in the data," said Smith. The department also reported that genetic testing has confirmed mackerel caught off Newfoundland are almost entirely from the North American population. DFO is expected announce the 2019 Canadian mackerel quota within weeks. The Marine Stewardship Council is also likely to be watching. In the past, it has made protection of Atlantic mackerel a condition of its certification of the region's lobster fishery. So far, the council has been satisfied the lobster fishery is not hindering the recovery of the mackerel stock.